Over the last twenty five years, scholarship on Early Modern women writers has produced editions and criticisms, both on various groups and individual authors. The work on Mary Wroth has been particularly impressive at integrating her poetry, prose and drama into the canon. This in turn has led to comparative studies that link Wroth to a number of male and female writers, including of course, William Shakespeare. At the same time no single volume has attempted a comprehensive comparative analysis. 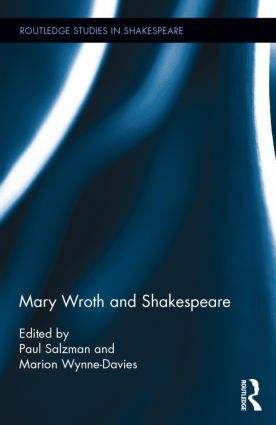 This book sets out to explore the ways in which Wroth negotiated the discourses that are embedded in the Shakespearean canon in order to develop an understanding of her oeuvre based, not on influence and imitation, but on difference, originality and innovation. Paul Salzman is a Professor of English literature at La Trobe University, Australia. He has published extensively on early modern women’s writing, including the monograph Reading Early Modern Women’s Writing (2006). He has recently completed an on-line edition of Mary Wroth’s poetry (http://wroth.latrobe.edu.au/) and is now working on an on-line edition of Love’s Victory and a book on literature and politics in the 1620s. Marion Wynne-Davies holds the Chair of English Literature in the Department of English at the University of Surrey, UK. Her main areas of interest are Early Modern literature and women’s writing. She has published two editions of primary material, Renaissance Drama by Women: Texts and Documents (1995) and Women Poets of the Renaissance (1998), as well as several collections of essays in the same field. She has published four monographs, Women and Arthurian Literature (1996), Sidney to Milton (2002), Women Writers of the English Renaissance: Familial Discourse (2007) and Margaret Atwood (2010); the next book, Memorialising Early Modern Women Writers will be published in 2014. This series is our home for cutting-edge, upper-level scholarly studies and edited collections. Considering Shakespeare alongside topics such as religion, politics, gender, race, ecology, popular culture, and history, titles are characterized by dynamic interventions into established subjects and innovative studies on emerging topics.